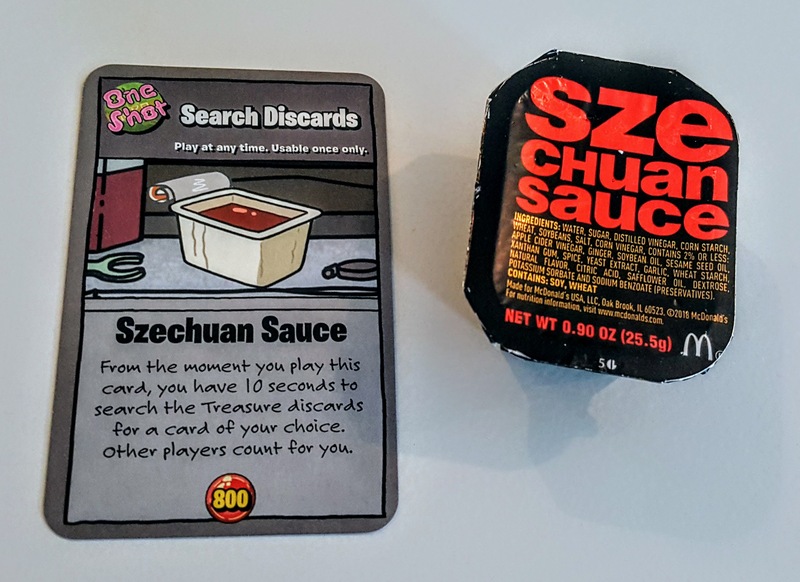 With the recent news that Justin Roiland and Dan Harmon’s television show Rick and Morty has been renewed for a massive 70 more episodes, I thought it was a great time to review the Rick and Morty version of Munchkin. 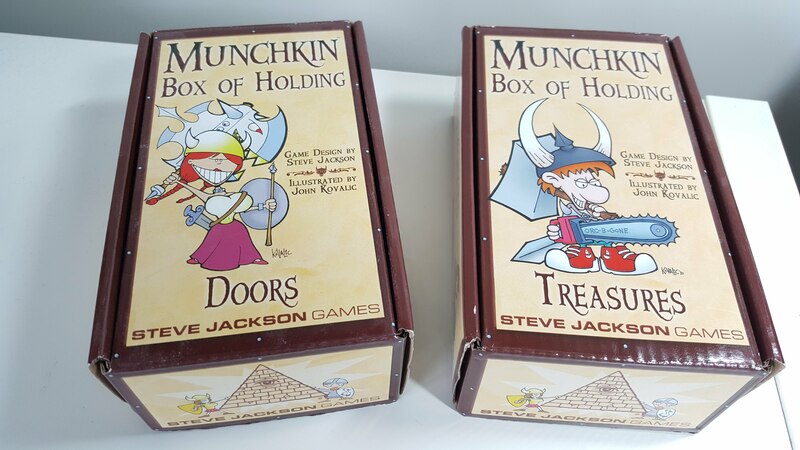 This game is just Steve Jackson’s Munchkin but with a Rick and Morty theme so if you don’t like one or the other, then this game is not for you. If you are into both. Then get excited because it is full of Rick and Morty goodness. 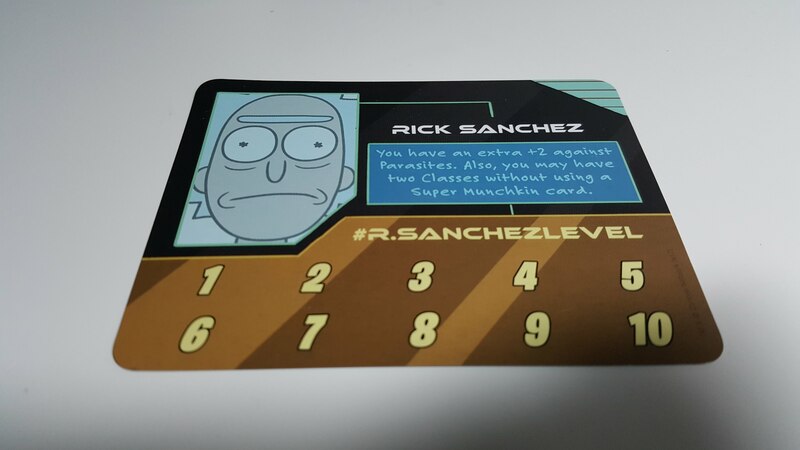 I will say though, that if you aren’t familiar with the show, this game will be lost on you. Because of this, the game doesn’t get as much playtime as the other Munchkin cards I have since it never feels right suggesting it if even one of the players hasn’t seen the show as to not alienate and confuse them. Rick and Morty’s first three seasons had 31 episodes and for a while the show was in limbo with rumors flying around about its future. Fans can rest easy now because 70 more episodes means its gonna be around for a while. I think that means this game also stays relevant and I hope we get some expansions. 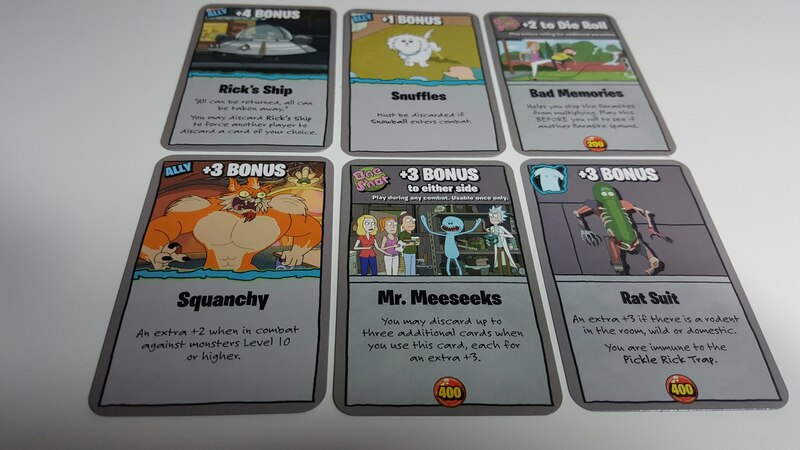 Rick and Morty Munchkin is itself a Munchkin base game. That means that you don’t have to already own the Munchkin base game. It is standalone and has everything you need to play. That doesn’t mean you can’t mix it with other Munchkin base games or expansions. 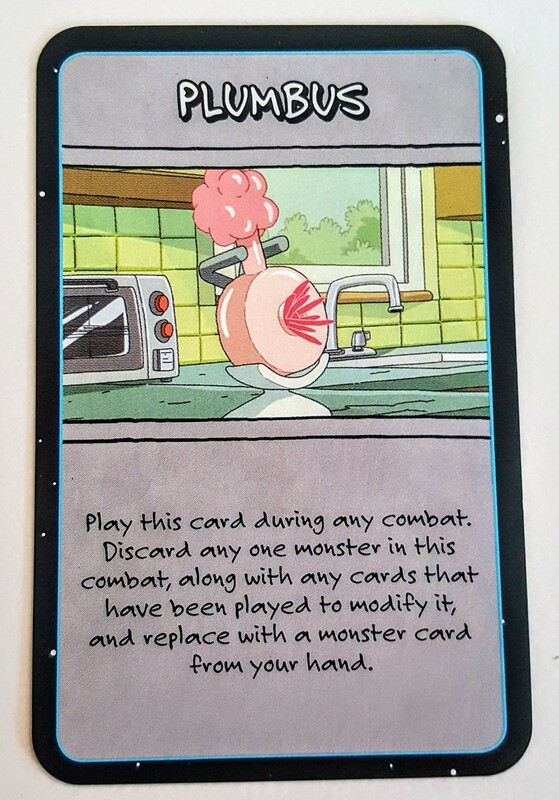 That’s part of the fun of Munchkin. At Christmas time, I always travel with the holiday themed Munchkin decks. 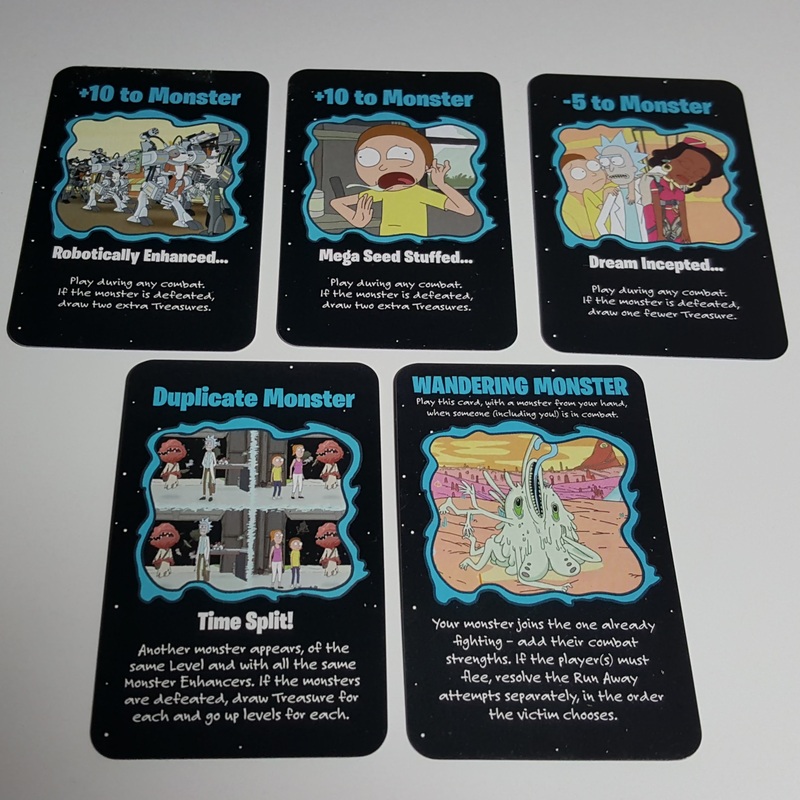 When The Walking Dead premiers, we play Munchkin Zombies with the Walking Dead expansions, etc. We mix and match Munchkin sets with whatever we are in the mood for. You get the idea. There are a lot of Munchkin games and expansions. 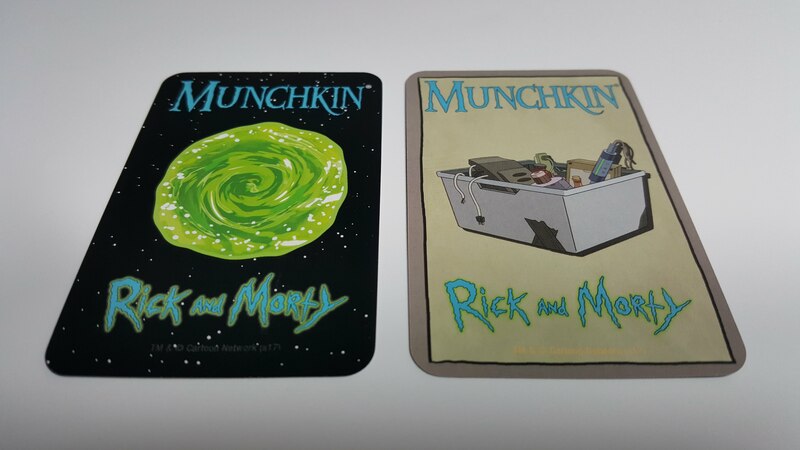 Rick and Morty Munchkin is very similar to traditional Munchkin. You kick in the door, fight monsters or loot the room, and generally back stab each other every chance you get. 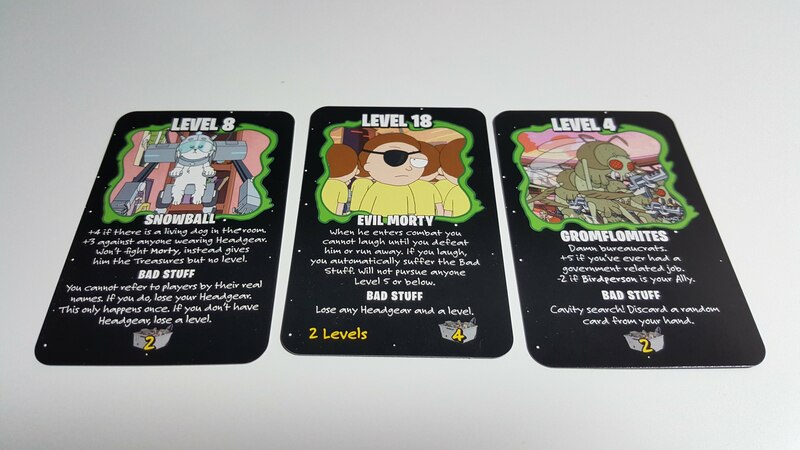 The goal of the game is to fight monsters or draw cards to increase your level and whoever gets to level 10 first wins. Its easy to teach and easy to learn. Beer and pretzels please. 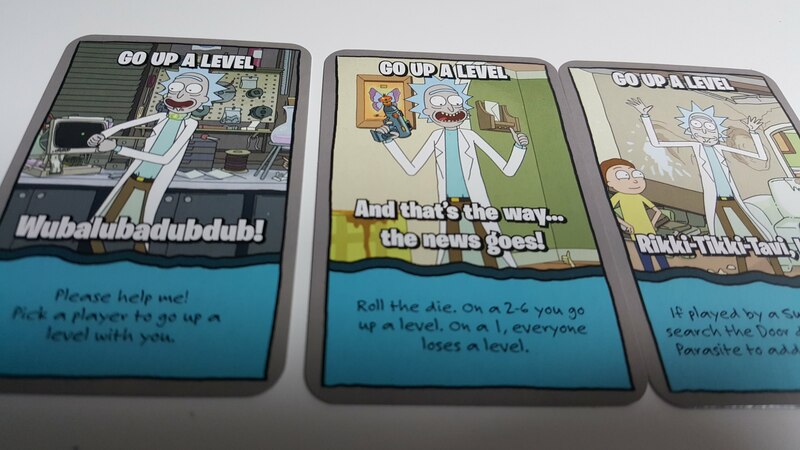 And of course, the best cards just let you go up a level. Mainly just the references to Rick and Morty. But there are some other small differences to note. The characters are different obviously. You can play as one of the family members or Mr. PB and each character has his or her own unique abilities. 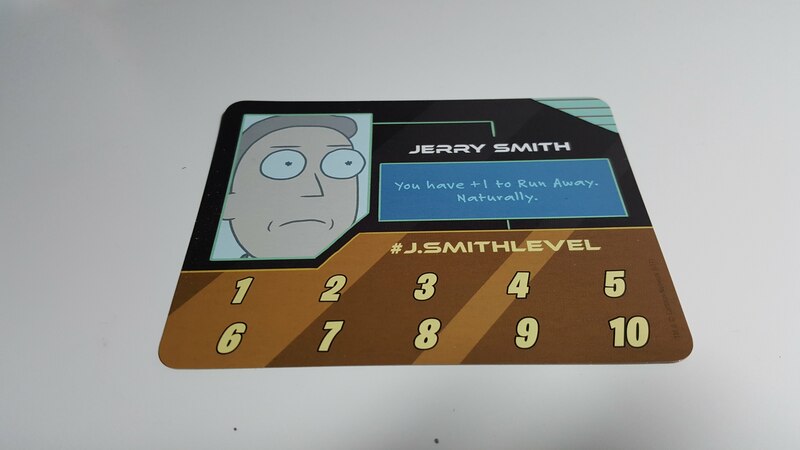 It comes with a token you can place on the character card to track your level. There are also “allies” who can join you and give you a bonus. Each player can only have one. These otherwise act just like item cards that you equip. There are also “parasites” that are a special type of monster. 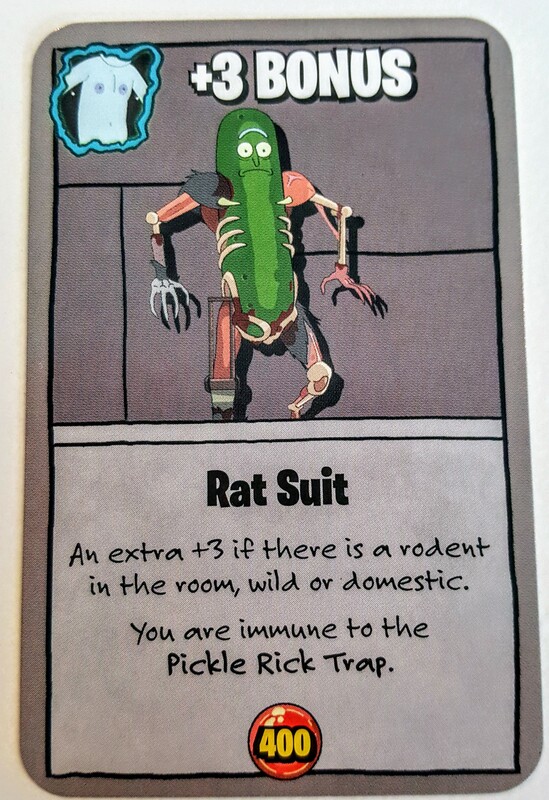 When you draw a parasite, you roll the die and if unsuccessful, you must add another parasite monster from the discard pile. This means you’ll often be fighting multiple monsters when you encounter a parasite. Curses are called “traps” and there seems to be a lot of them. Containing 168 cards, this game has loads of potential fun so play this version by itself, mix it into other Munchkin decks, or skip it altogether if you aren’t a fan. Coming out in August, Oni Press and IDW are co-publishing Rick and Morty vs. Dungeons & Dragons. Yep, thats right! 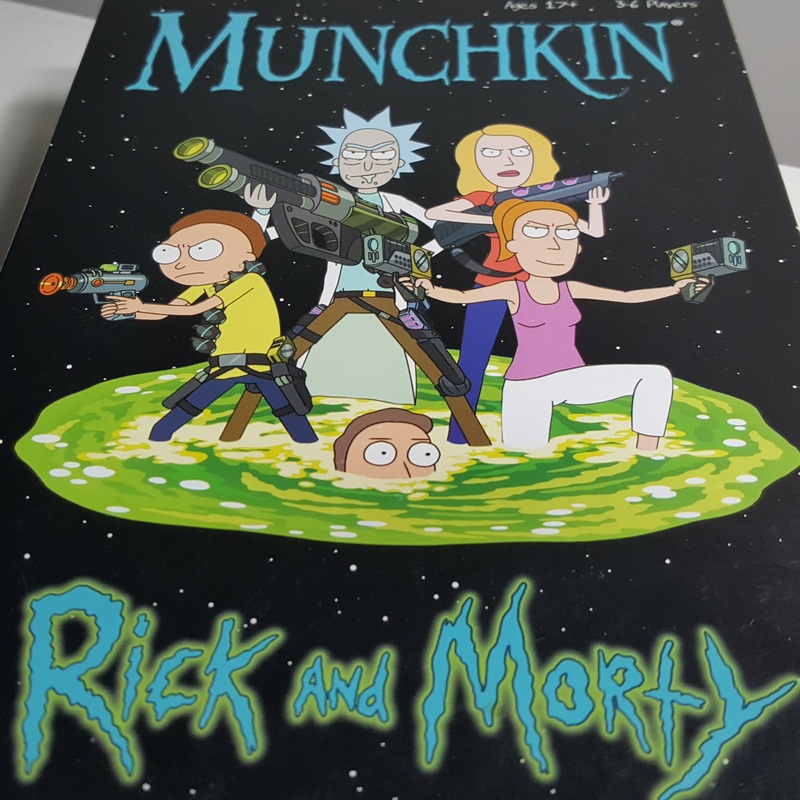 a comic book mini series where Rick and Morty will cross over with Dungeons and Dragons. And to make it even more awesome, Fantasy novelist Patrick Rothfuss and Jim Zub are co-writing this miniseries, with Troy Little attached as the primary artist. Now although I would much, much, much rather Rothfuss spend his time on finishing his Kingkiller Chronicles trilogy, I guess if he’s going to give us something other than book 3, then this is an amazing choice. Still though. Where’s book 3? At some point, we gotta just let Brandon Sanderson finish it right? And Troy Little looks to be a cool artist for this project. He did the graphic novel adaptation of Fear and Loathing in Las Vegas. *Not to be confused with Ralph Steadman who did the art for Hunter S Thompson’s books and articles. That’s probably the art work you are picturing in your head. The first issue of Rick and Morty vs. Dungeons & Dragons will debut in August 2018.